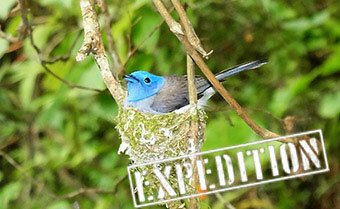 A recently discovered Beccariophoenix originating in a valley west of Antsirabe on the high plateaux of Madagascar, 20° 12’ 32.1" S, 46° 30’ 04.3" E, at an elevation of 1050 m (3440 ft). It tolerates moderate frosts, and can be grown in a full sun or shaded positions. Beccariophoenix alfredii grows up to 50 ft (15 m) in height with a trunk up to 1 ft (30 cm) in diameter. The crown holds 30-36 pinnate leaves, which reach lengths of 4.5 m (15 ft). Each leaf holds approximately 120 pairs of leaflets. The leaflets are very slender and crowded at the base, and are either rigid or somewhat pendulous. The inflorescence is infrafoliar rather than interfoliar as in B. madagascariensis. Beccariophoenix alfredii experiences a subhumid temperate climate drier than that of the east of Madagascar. The average temperature is 15-20°C and frosts are frequent, the rainfall generally less than 1500 mm. The dry season is about five months long. 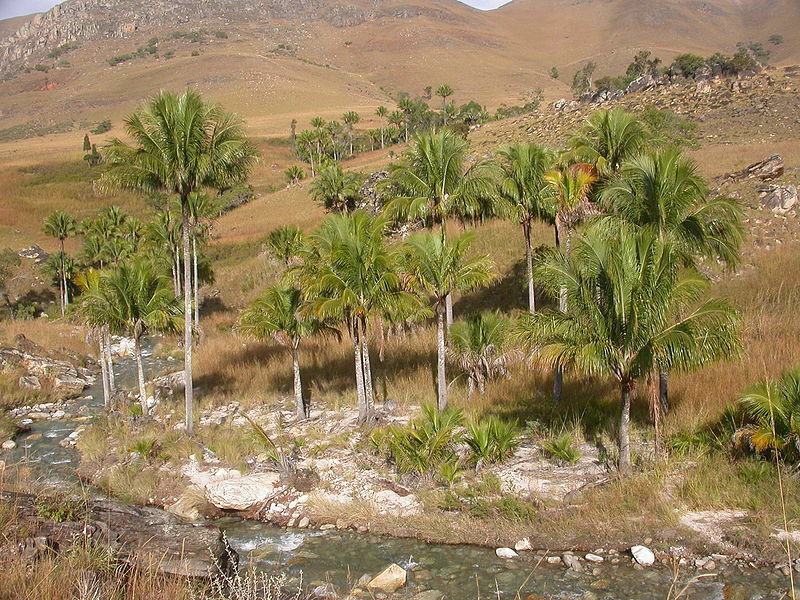 The population of B. alfredii occurs at an average elevation of 1050 m above sea level; above that elevation, the palm becomes less common, although the satellite image shows palms growing at over 1700 m above sea level, meaning this is by far the more cold-tolerant Beccariophoenix (zone 9a). The soils in general in the region are ferralitic, but B. alfredii seems to grow solely on sandy soils on the banks of tributaries of the Mania River. Beccariophoenix alfredii is the dominant species in the gallery forest and, reaching mostly 10-15 m, constitutes the only canopy species. The species grows abundantly in the area. The dominance of this species may be due to the fallen leaves and inflorescences that carpet the ground, completely eliminating any other woody plants. Moreover, seed dispersal seems to be mostly by water. The flattened shape of the fruits allows them to be dispersed easily by water until they are deposited in a site favourable for germination. Sometimes seedlings are found actually growing in water but they mostly occur along the river bank.